Using cutting edge technology, your film is captured flicker free and exposure controlled. Each DVD Video comes with free title, generic easy listening music, a personalized DVD case and disc label or picture you want on the cover. All work is performed at our Toledo shop- nothing is sent out. Please call or stop in to find out about all our film transfer options. Movie reel Diameters and film length- 3” reels = 50’, just under 4” reel = 100’, just under 7” reel = 400’, just under 10.5” reel = 800’, approx 12.5” reel = 1,200’. 50 feet of 16mm film runs under 2 minutes. Approximately 4000 feet of 16mm film will fit on a 2-hour DVD-Video, that's playable on a TV's Video Player or run from the DVD drive of a computer. Title and music can be added to this movie for FREE. We can add your voice narration to your material too. 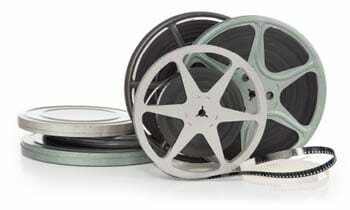 We have a one time charge for film transfers of 16mm film conversion to digital. This is $0.15 per foot for standard resolution and $0.25 per foot for *High Definition video. Titles and music are free. A single layer DVD can hold up to 4000 feet of 16mm movie film. *High Definition video is only available on a Data DVD (or other digital media) as a single video formated file for computer viewing and will not work in your TV's DVD player. There is also a DVD-Video creation cost to produce a disc format that will play on a TV's Video player or run from a computer's DVD drive. Your first DVD (minimum of one required) is $24.95 for a single layer DVD-Video. Each comes in a DVD Case with Insert and Disc Label. *Additional DVD Copies of same material cost $9.95 ea and your 3rd copy of same material is FREE. You may want to take advantage of our Temp Disc option. Many times reels are not labeled or have not been viewed in years, so you may find you don't want to include all the footage. We create a Disc (or write to a flash drive or external hard drive) with each reel in its own chapter, you pay for film conversation and $10 for a Temp Disc. Take the Temp Disc home and decide what order you want the files in, make notes of footage you don't want included and make up titles for your project. 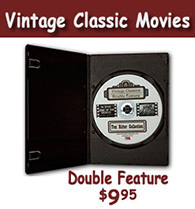 Just bring back your notes with the Temp Disc and as per your instructions we will create a new final DVD for $24.95. Temp Disc working files can be written to a Data DVD, external Hard Drive or Flash Drive at a $10/hr rate plus cost of any digital media you're purchasing from us. If you live outside the Toledo area send us your material and we'll ship your completed order to you FREE Shipping, Priority Insured Mail ($120 min. order for free shipping). Please call us at 419-861-2111 if you have any questions at all. We will be more than happy to assist you. It takes 3 steps to get film to DVD. First the film is converted by LED process to digital format and during this process it is monitored for focus, light/dark images, then the digital disc is loaded in our computer system and the reels are meshed together and our tech goes through and cleans up the film images removing any bad areas, the last step in the process is to add our opening, titles, and music for your completed DVD-Movie. Not sure what's on your slides or film? Bring it in- inspect it at our Toledo shop at 5318 Heatherdowns Blvd, just west of Reynolds. Sort and organize your slides for FREE on our light table. Not sure of your 16mm silent or sound film content? Take advantage of our Temporary Film Disc, each reel is in its own chapter so you can decide the film order and titles you want for the final DVD. You also get free music on the final DVD-Video. Blu-ray Disc™, Blu-ray™ and the logos are trademarks of Blu-ray Disc Association.